What we do know is that the high degrees found fertile ground when they were introduced to French Masonry. In 1745, two years after restricting Scotch Masons, the Grand Lodge of France gave them special privileges, and more privileges and authority followed in 1747 and 1755. In contrast, the Royal Arch appears in lodge minutes in America in 1753 and England in 1758 with little official notice. By 1766 we know that an elaborate sequence of High Degree or “Scottish” Masonry is being worked in France. There’s much activity prior to 1766 that we’ll cover later, but we want to take a look now at that sequence of High Degrees. Competition is the force that drives the world’s economies, and it also seems to have driven Scottish Masonry in France, which became part of jockeying for power within the Grand Lodge of France. The Council of the Knights of the East, Sovereign Prince Masons, was organized in 1756, and included in its government middle-class Masons who had been excluded in previous High Degree ventures. It is not known how many degrees the Knights worked, but they seem to have faded out around 1768–1779. In August 1761 Stephen Morin received a patent from the Grand Lodge of France “authorizing and empowering him to establish perfect and sublime Masonry in all parts of the world, etc., etc.” Morin was a wine merchant from Bordeaux and set up business in Santo Domingo in what is now the Dominican Republic in the Caribbean. Morin is little remembered for his wine business, but his Masonic activities have gained him lasting fame. It took Morin about 15 months to make it from France to Santo Domingo, arriving in January 1763, because his ship was captured by the English and he was taken to England. While we know that he arrived with a patent of authority over the High Degrees, we don’t know how many or which High Degrees he controlled! What we do know is that he met a Dutch merchant, Henry Andrew Francken, and made him a Deputy Inspector General sometime between 1763 and 1767. Francken in turn traveled to Albany, New York, and created there a Lodge of Perfection (4°–14°) in 1767. 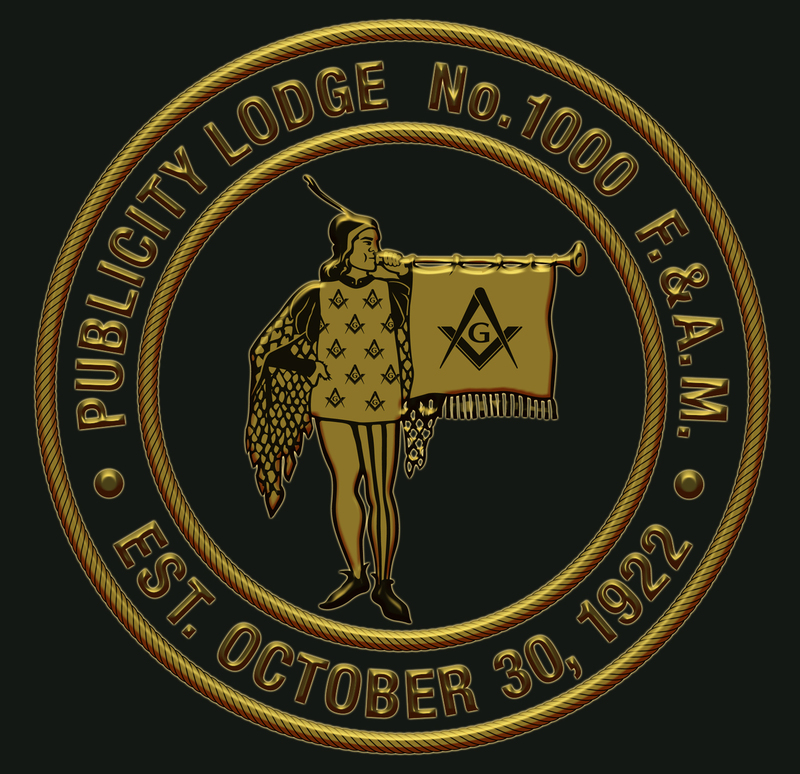 In addition to creating the Albany Lodge of Perfection, Francken at least four times copied all of his degrees into books: 1771, 1783, and two undated versions. The “Francken Manuscripts” contain the earliest English versions of 21 degrees from 4°, “Secret Master,” to 25°, “The Royal Secret or Knights of St. Andrews—the faithful guardians of the Sacred Treasure,” a 25-degree system with the first three degrees conferred in Blue Lodges. This should establish conclusively that Morin worked a system of 25 degrees, right? Well, only if the degrees that Morin gave to Francken are the same ones that he received in France! However the 25-degree Order of the Royal Secret came into being, it proved popular. These French high degrees, unlike the English York Rite, were spread by traveling Inspectors who conferred them for a fee. It wasn’t necessary to wait for enough Masons in a town to receive the high degrees somewhere else and for them to apply for a charter; the itinerant Inspector could take care of everything as soon as he arrived. Eight bodies of the Royal Secret were formed in America before 1800, from New Orleans to Albany. The weakness of the Order proved to be the unchecked system of Inspectors General. Each Inspector General could confer the degrees on Master Masons, establish local bodies, and create new Inspectors—all for an appropriate fee. There were no guidelines on cost, no limitation on numbers, and no restriction on how many more Inspectors an Inspector could create. By 1800 there were over 80 Inspectors General, and the system was moving toward chaos. Then on May 31, 1801, the first Supreme Council of the Thirty-third Degree, the Mother Council of the World, declared its existence with a motto of “Ordo ab Chao” (Order from Chaos). It announced a new 33-degree system of high degrees that incorporated all 25 of the Order of the Royal Secret, and added eight more, including that of 33°, Sovereign Grand Inspector General. This new organization declared control of high-degree Masonry in America. The new Supreme Council had a written constitution and a plan for organizing and managing the bodies under its control. The problem it faced was how to rein in the roving Inspectors General. The solution was shrewd and depended upon convincing the Inspectors to voluntarily yield allegiance to the Supreme Council. Any Inspector of the 25° would be given authority to confer up to the 32° (the extra seven degrees would make his product more attractive), if he turned in his old patent and agreed to follow the rules of the Supreme Council. This strategy was reasonably successful, and independent Inspectors General soon disappeared. The Charleston Supreme Council had organized itself according to the “Grand Constitution of the Thirty-third Degree,” purportedly written by Frederick the Great of Prussia in 1786. The Constitution provided for one Supreme Council in each country, except that the United States of America could have up to two. (This is an odd provision for a document supposedly originating from Prussia in 1786!) The decision to create a second American Supreme Council was unexpectedly thrust upon the Supreme Council in Charleston. The second Supreme Council in the world was established in Santo Domingo in 1802, a fitting return to Stephen Morin’s home. This Supreme Council died with the slave revolt on the island, but one of its members, Antoine Bideaud, fled to New York. While there he came across five Frenchmen who were interested in the high degrees. For a fee of $46 in 1806 (about $565 in 2000), Bideaud conferred the degrees upon his customers and formed them into a “Consistory” of the 32°—all without the knowledge of the Charleston Supreme Council. The same year that Bideaud was creating his Consistory, Joseph Cerneau, a French jeweler, moved from Cuba to New York City. He had a patent from an Inspector of the Order of the Royal Secret that gave him limited powers in Cuba, but that didn’t stop him from setting up his own consistory in New York City. Cerneau operated without saying much about whether he had a 25-degree or 32-degree consistory. Emmanuel de la Motta, the Grand Treasurer from the Charleston Supreme Council, arrived in New York City in 1813, examined the two competing factions, and decided against Cerneau. De la Motta regularized Bideaud’s group and transformed them into the second Supreme Council for America, now known as the “Northern Masonic Jurisdiction” and consisting of 15 mid-western and northeastern states from Wisconsin and Illinois northeast to Maine. The original Supreme Council or “Southern Jurisdiction” is composed of the other 35 states plus the District of Columbia and Puerto Rico. All regular Supreme Councils of the world today descend from the Mother Supreme Council of Charleston.